Manage navigation and site architecture. Assign rights to other webmasters. This article provides a guide on how to log into the user sites. Log into your home portal. 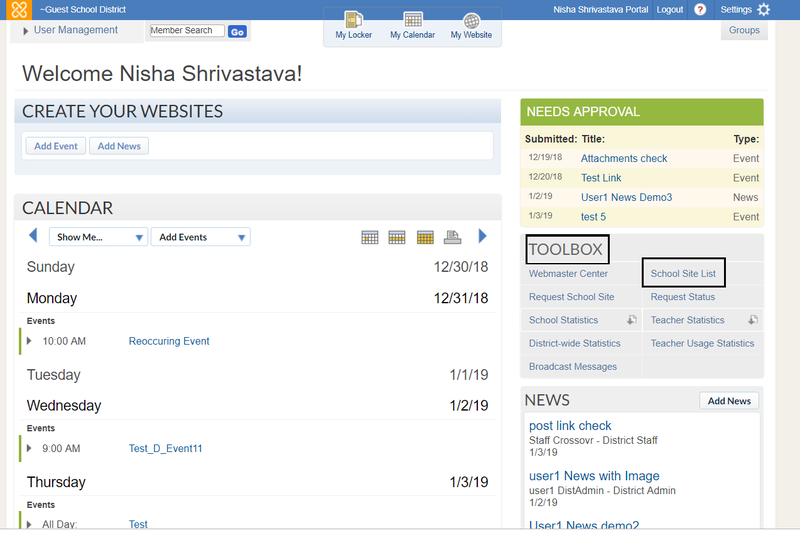 On the right hand side, under Toolbox, click on School Site List. Choose the District School whose site center you want to log into. On the top, click on User Management> System Admin. 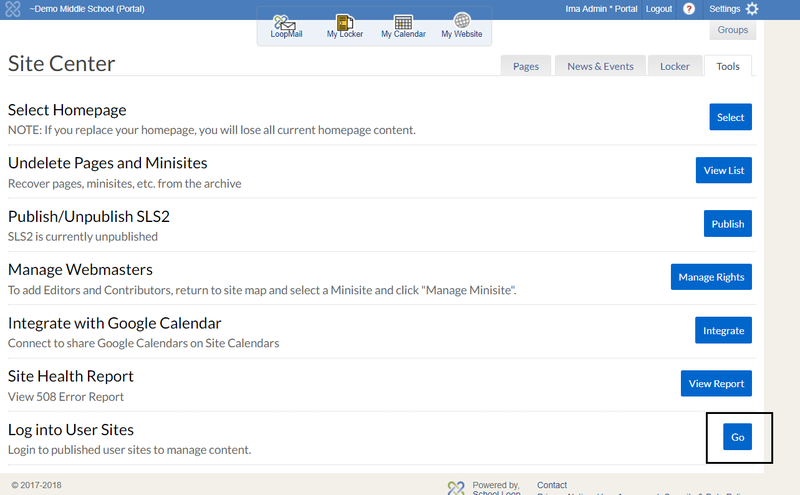 Click on the desired admin (in this example, Ima Admin) and click 'Auto Login'. Once in the admin page, click on Site Center, on the right side of the page. This opens a new window for your Site Center. Click the Go button next to Login to User Sites. Click on any staff name in blue to open the user site.